New Forest Academy of Dance is based in Lymington, Hampshire and provides dance and musical theatre classes to all ages in a positive and inspiring learning environment. Their aim is to bring the joy of dancing and theatre into the studio and give every child the opportunity to perform with confidence, whether a student attends once weekly for fun or is considering dance and theatre as a career, the skills acquired in class will be incorporated into many aspects of their lives. The Academy offers syllabus classes in the Royal Academy of Dance (RAD), Imperial Society of Teachers of Dancing (ISTD) and LAMDA. Examinations are offered to aid education and provide a great way for students to attain personal goals and to have fun while also receiving recognition. However exams are not compulsory. The teachers at New Forest Academy of Dance have many years of experience, are fully qualified, CRB checked, First Aid trained and fully insured. Tap dancing is one of the most fun dance forms; enjoyed and admired around the world. The ISTD syllabus has introduced exciting grades, based on American tap styles, encouraging a strong sense of rhythm as well as developing a sense of performance. This is a new style that has been introduced to the school, pupils can start from the age of 4 and examinations with the Imperial Society of Teachers of Dancing (ISTD) will be offered in the future. Dance can help to provide physical conditioning, nurture physical and mental discipline, develop literacy in the language of dance, improve posture and grace, educate individuals so that they can appreciate live dance performance and develop self discipline and self motivation. Musical Theatre classes explore singing, drama and dancing within the theatrical world. Classes enable students to develop their creativity, express emotion, build on their social skills and self confidence whilst learning the different techniques used for performance on stage. New Forest Academy of Dance offer LAMDA examinations in Singing, Drama and Musical Theatre, as well as the opportunity to perform and participate in workshops to enhance their education in the performing arts. Drama training and performance experience can increase confidence, improve speaking voice, provide opportunities to experience team activities, develop awareness of creativity and an enjoyment of self expression and enhance self-belief and sense of achievement. Ballet develops poise, self discipline, musicality, rhythm and a highly increased physical and sensory awareness. 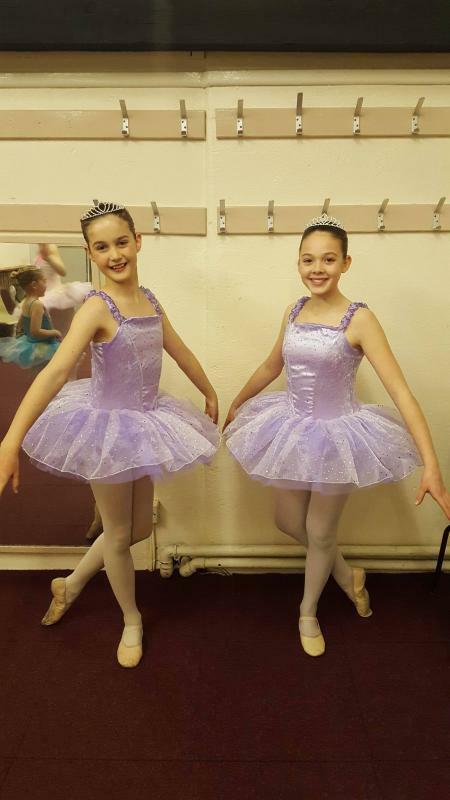 New Forest Academy of Dance aims to give every student the chance to develop the dancer within them and particularly focus on developing musicality and correct basic placement alongside appropriate technique. Royal Academy of Dance (RAD) examinations are held throughout the year and although not compulsory, students are encouraged to take examinations when ready. Vocational classes and the opportunity for pointe work is also offered where appropriate. Ballet classes at New Forest Academy of Dance start with Nursery Ballet (age 2 - 4) and then follows the Royal Academy of Dance grades from Pre-Primary (school age), Primary and Grades 1-8. Adult classes are also available, from beginner to advanced. Click on the comprehensive timetable below for full details of class times and locations.